USAID Tulonge Afya is a five-year program, funded by the United States Agency for International Development (USAID) that aims to catalyze opportunities for Tanzanians to improve their health status by transforming socio-cultural norms and supporting the adoption of healthier behaviors through improved ability of individuals to practice healthy behaviors; strengthened community support for healthy behaviors; and improved systems for coordination and implementation of SBCC interventions. The initiative will use digital solutions for improving clients' access to services, improve client-provider communications and interaction, and support adoption and maintenance of healthy behaviors. The mHealth advisor will be responsible for the identification, adaption, and deployment of mHealth platforms to support SBCC interventions of the initiative that meet the requirements of Tanzania Ministry of Health, Community Development, Gender, Elderly, and Children (MoHCDGEC) President's Office Regional Administration and Local Government (PORALG). The mHealth advisor will closely work with FHI 360 TechLab, local developers and current user organizations of MoHCDGEC-mandated mHealth platforms and Tulonge Afya implementing partners in the adaption, development and deployment of mHealth solutions tailored to the specific needs of the different user groups of the program. • Working closely with both internal and external partners - including USAID, FHI 360 TechLab, MoHCDGEC, PORALG, sister project USAID Boresha Afya and other local partners - to lead the development of Tulonge Afya's mHealth strategy and implementation approach. • Lead the activities to enhancements and scale-up of FHI 360's Mobile for Reproductive Health (m4RH) mobile platform. • Lead the development of requirements specifications providing the functional capabilities, non-functional requirements and use case diagrams to guide software developers in the development of mHealth solutions for the project. • Ensure that mHealth solutions adopted or developed by the initiative are in full compliance with national eHealth strategy, enterprise architecture and other MoHCDEC and PORLAG requirements, and funder requirements, and that they add value to the existing mhealth landscape. • Develop the Digital Health strategy and budget for specific proposals, concept notes, expressions of interest and other business development-related materials, working closely with the New Program Development (NPD) and other proposal team members. • Design, develop, and deliver mobile device (such as feature phones, smartphones and tablets) and mobile applications (such as applications based on OpenSRP, DHIS2 Tracker, SMS, USSD) training to end-users, providers and health managers at different levels of the health system. • Develop and implement systems for the provision of mobile application technical support to end users, program staff, and stakeholders. 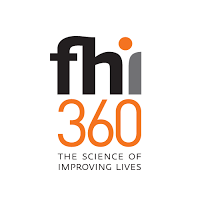 • In collaboration with the project's M&E team, design, develop, and maintain FHI360 database for storage and analysis of the FH1360 Tulonge Afya internal data. • Lead adoption of DHIS2 into the data management workflow of the project by installing a local instance of DHIS2, developing tools for the collection, validation, analysis, and presentation of data tailored to the needs of Tulonge Afya. • Connect the local DHIS2 instance with the MoHCDEC DHIS2 central instance and work closely with the monitoring and evaluation team of the program to ensure that data sets from the local and central DHIS2 instances are used for supporting performance monitoring of the program. • Document program outcomes and impacts in various forms, including media stories, lessons learned, case studies, etc. • Promote and support the dissemination of project information and experience sharing among the project team and with other country, regional and headquarters-based staff. • Bachelor of Science in Computer Science required. Master's degree in health informatics, computer science, statistics or related fields is an added advantage. • Minimum five years' field experience on designing, developing and implementing eHealth/mHealth solutions. • Experience in managing software development or implementation and an understanding of hardware and network architecture. • Skills in Android and Windows mobile application development. • Skills and experience on the deployment and use of DHIS2, OpenMRS and MySQL. • Up-to-date knowledge of technologies and technology standards and the constraints and benefits of different technologies in the context of developing countries. • Practical experience supporting eHealth/mHealth initiatives in Tanzania and excellent grasp of Tanzania's eHealth strategy and other policies/strategies on the use of ICTs for health. • Excellent organizational skills, verbal and written communications skills in Kiswahili and English including presentation and facilitation skills. • Skill and experience on the use of OpenSRP for developing case management applications desirable. • Ability to build strong relationships and collaborative working with the Government of Tanzania, other partners and stakeholders. The post holder must be willing to travel to locations across Tanzania and work flexible hours when required. Deadline for application is 07 January 2018 and interviews will be held on 11 January 2018. • Diploma or ideally tertiary degree or its international equivalent in communication, public health, social sciences or related field. c) Issuance of solicitation does not constitute award commitment by FHI 360.